Archives across the Netherlands are tasked to make their archives accessible online. However, progress has been slow, not least because it is difficult to determine who owns the rights to make works available online. Focusing on the Dutch public service radio and TV broadcasting sectors, this book adresses this challenge. First, it disentangles the nature of broadcasts by providing guidance on which aspects of a TV or radio broadcast can attract protection and who owns these. Secondly, it empirically establishes that the default ownership rules can only provide an incomplete picture of the rights ownership in the public service broadcasting sector: the ownership is more concentrated than copyright and neighbouring rights law suggests. 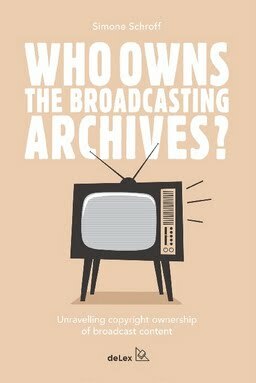 Who owns the broadcasting archives? shows how different legal scenarios explain this rights concentration and establishes their likely practical influence on industry practice in the public service broadcasting sector across time. Project Images for the Future: from digitization to dissemination, when can we watch? Schroff, S. (2017). Who owns the broadcasting archives? Unravelling copyright ownership of broadcast content.